This week's Founder of the Week is Michael Vogel, co-founder of Netcoins, a software solution that turns any smartphone, tablet or computer into a Bitcoin ATM. My background is in electronics engineering. Prior to starting Netcoins, I worked for many years as an engineer at several great companies, developing and launching hardware products. Telecommunications, Internet-of-Things, smart-homes, and automotive are among my specialties. Most recently I was the manager of an electronics engineering team. What inspired you to become an entrepreneur and go out on your own? Working for a startup (as opposed to founding one) is a great way to be exposed to all the tools it takes to become an entrepreneur. I was fortunate to begin my engineering career by working at a small startup, working alongside senior engineers who really took me under their wings. This was a fantastic environment to learn by osmosis. I often recommend that entrepreneurs (especially first-timers) should find an accelerator. I can’t emphasize this enough. Through Spring U in Vancouver, I’ve been able to surround myself with wonderful mentors and like-minded entrepreneurs. This has been a terrific way to “inject” ourselves into the startup community. Learning and sharing experiences with others building their own startups is crucial to finding your own success. In terms of resources to start the company, I spent a considerable amount of time (more than a year) of evenings and weekends working on Netcoins while still working during the day in my regular job. My brother Dominic (and Netcoins co-founder) has a background in cyber-security in the banking sector, so we made a good pair to start a Bitcoin company. What is your company all about and why should everyone care? 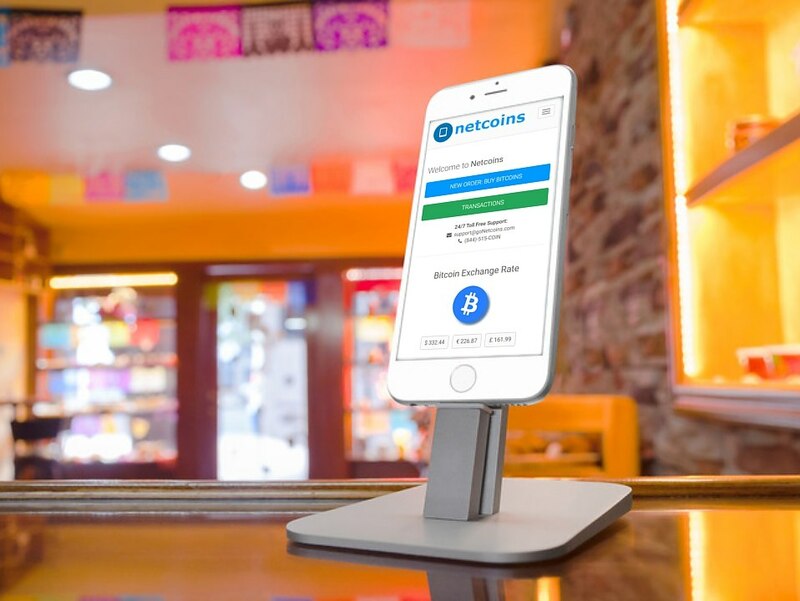 Netcoins makes it easy for consumers to buy Bitcoin in-person at our retail Bitcoin ATMs. Digital currency is an amazing revolution that is re-inventing the world of money (much like how email re-invented the postal industry). Although Bitcoin is exploding in popularity, it remains remarkably difficult for consumers to buy Bitcoins, which is where Netcoins comes in. We’ve created a “virtual” Bitcoin ATM that turns any device (iPad, computer, etc.) into a software-based Bitcoin ATM. This means that stores don’t need to devote floor space (or machine costs) to a physical ATM machine. If you visit our homepage (goNetcoins.com), you can find a location near you, or if you are a store owner, you can join for free. Netcoins is actively launching in a number of countries, including Canada, Australia, UK, Ireland and USA. In 5 years we’d like to serve as a preferred method for consumers to purchase Bitcoins in retail stores. Things are happening really quickly for us – we have a number of retail partnerships in place that are helping us scale rapidly. Gateway Newstands and Payment Source (both based out of Toronto) have both been early adopters for us. In 5 years the Bitcoin landscape will be much different, and there will be a lot of services that rely heavily on Bitcoin’s global infrastructure. Last month Netcoins announced a partnership with XapCash, an international remittance company. Our partnership enables XapCash customers to visit a Netcoins location and transmit their local currency internationally at an ultra-low cost. Bitcoin allows us to move money instantly around the world in the back-end, while customers still use regular currency in the stores (USD to Mexican Peso, for example). I started Netcoins because I wanted to find an easier way to buy Bitcoin. One of the coolest things about building a business from this mindset is that you will gain clarity as an entrepreneur much more rapidly if you are designing a product that you will want to use yourself. “Work on the business, not in the business” is an important principle when building a startup. Henry David Thoreau has a good quote: “It is not enough to be busy. So are the ants. The question is: What are we busy about?”. In other words, while it is easy to get caught up in the minuscule details when building a startup, make sure you maximize your time and attention spent on the tasks that help bring your company closer to its overarching goal. I’m interested too many things, and ironically found that I had to cut back on hobbies and other projects in order to maintain sanity! Probably my biggest non-technical hobby is playing piano and guitar. I admire the contributions of startups in the medical technology sector. I’m trained and certified to perform hemo-dialysis in order to assist my grandfather, and I would love to spend time developing technology in the biomedical field (if you’d like to learn more about dialysis, here’s my blog on the subject: DiscoverDialysis.com). If anyone out there is currently working on developing electronic devices with a medical application, feel free to reach out to me: [email protected]. I would be happy to volunteer my time as an adviser to your startup. “Life is too short to make your own mistakes”. Simply put: find good mentors. Well, just like all other business startups, the founder wanted to make something easier to do and set out to do it. Great job! I have the same issues. I split my time up between too many different things and that seems to cut into my productivity. Mostly because I used to put hobbies and “me” time before work. I like this segment. I hope you are going to set us up with a few more of these so we can see behind the scenes of some of these companies. Well, you take on thing, BitCoins and you make something to make that experience a better one. Good article here. Netcoins is new to me. It was nice to read a little bit of background like this before learning more about the company. Very good interview. I like this if you plan on doing more, I would read every one of them.